Parking Spaces Available at Storage Etc.! Storage Etc Gardena’s vehicle, RV, trailer, and boat parking is among the most convenient and affordable in the South Bay area. 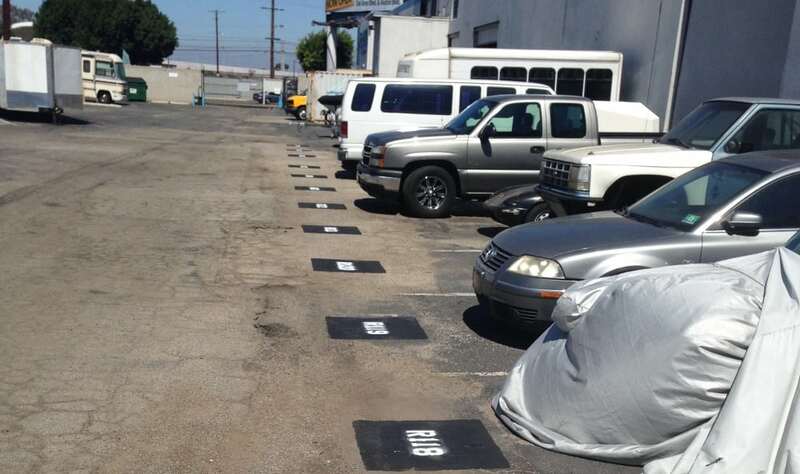 Our location offers several parking space sizes ranging from 16’ to 48’, so we will be sure to fit your parking needs, no matter the size. With 7 day a week access between 6:00am-9:00pm and friendly managers available daily at the location, parking has never been easier! Our convenient location is just off the 110 Freeway, so getting your automobile to and from parking at Storage Etc Gardena is a breeze. We offer month-to-month parking rentals, so you can decide how long you need the parking space as you go. There are no long-term contracts, and there are no deposits to rent. Our lots feature clean, accessible, and individually assigned self-parking spaces, so access is easy, convenient, and keeps you in control of your vehicle. Your car will be secure with our high fencing surrounding the entire property and gates with individually coded access. Parking at Storage Etc Gardena is the ideal way to exercise more control over the environment your recreation vehicle is stored in, especially in the off-months it is not in use. Once you rent with Storage Etc... Gardena, your RV or Boat storage unit can be easily paid for via our online bill pay system. We also have an automatic payment option for those that want their payments directly deducted from their accounts. View our available spaces now! We successfully serve the South Bay areas of Los Angeles, including Gardena, Torrance, Carson, San Pedro, Compton, Lomita, Harbor City, El Camino Village, Rancho Dominguez and Wilmington.